Healthy and crispy Gujarati snack for weight watchers. Khakra is the traditional Gujarati snacks which are available commercially as well. They are easy to make hence you can easily make them at home and store them in an airtight container for weeks. 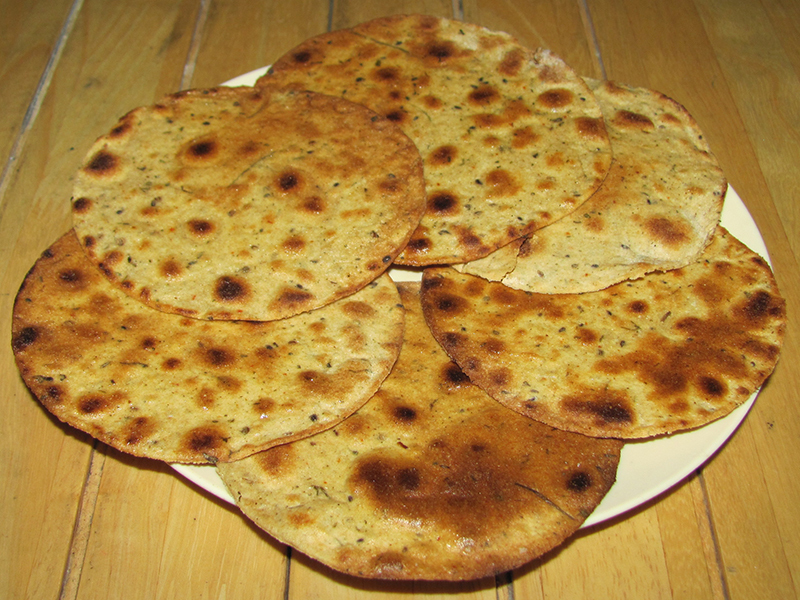 The addition of Kasuri Methi adds a distinct flavour to this khakra. 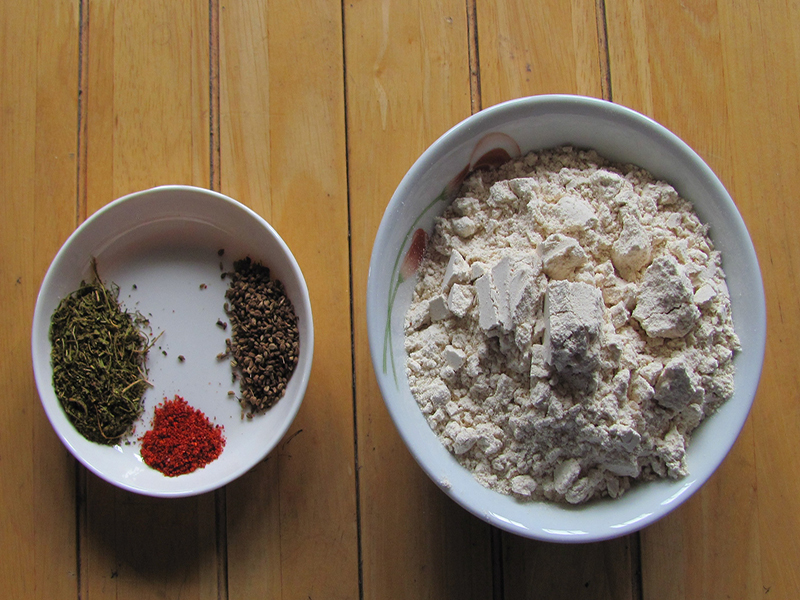 In a large bowl mix the whole wheat flour, Kasuri Methi, carom seeds, red chilli powder and salt. Add the oil and mix till it resembles breadcrumbs. To this add water and form a tight dough. It takes ½ water approximately. Divide small portions of the dough. It will make10-15 small portions. Roll out each portion paper thin with the help of flour. Heat a girdle. Toast each side till light golden spots appear. With a muslin cloth press the toasted khakras on the girdle till all the moisture from it is evaporated and its nice and crisp. Take it out and repeat for each potion. If you have a tortilla maker, you can make it at that as well. You can baste little ghee on top of each chakra if you want but it tastes delicious with put it as well.. Serve it with your favourite dip or as it is.